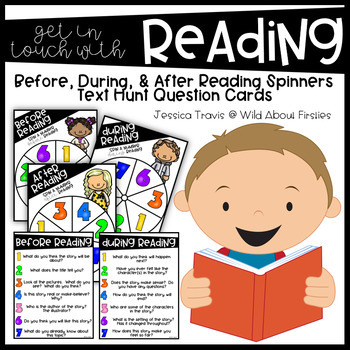 This mini-pack of small group reading activities is perfect to get your students engaged in the text! 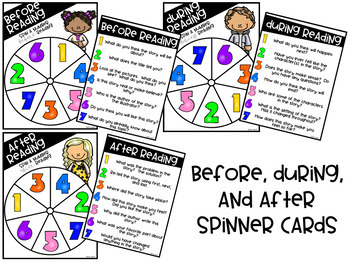 Included you will find Before, During, and After (B,D,A) spinners, which also include question cards (7 questions for before, 7 for during reading, and 7 questions for after reading). 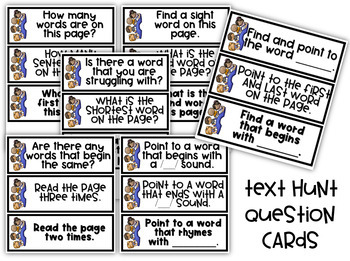 You will also find 15 text hunt question cards that you can use with any text! As you stop on a page within the text, pull a card for a text clue! Students LOVE these and it really gets students focused on the text in front of them! PERFECT for beginning readers!